Happy Friday and thanks for checking out CBSI today! So does everyone have their copies of that Batman comic with Superman on the cover, with the art by Frank Miller? No! Not that one! This one! I give you All Star Batman and Robin the Boy Wonder #4! This is the 1:10 variant cover. This series had some great regular and variant covers, along with a great storyline…wish they would finish it sometime! This beauty will not kill you, or your wallet! With the normal comic being one of the more heavily printed series, the 1:10 variant has a print run of about 15,000. They are found on the bay and amazon, all for under $20. Although I will say, with that many out there, I would think more would be online. Just not as many as you think. All in all, I think you should all have one for your PC. What more do you need? 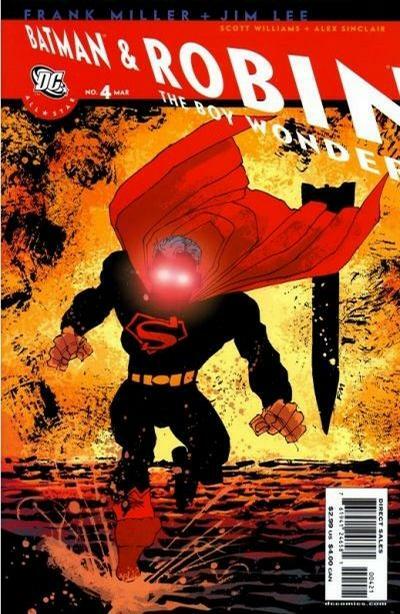 Jim Lee, Frank Miller, Batman and Superman!?!?!? That is an All Star combo.